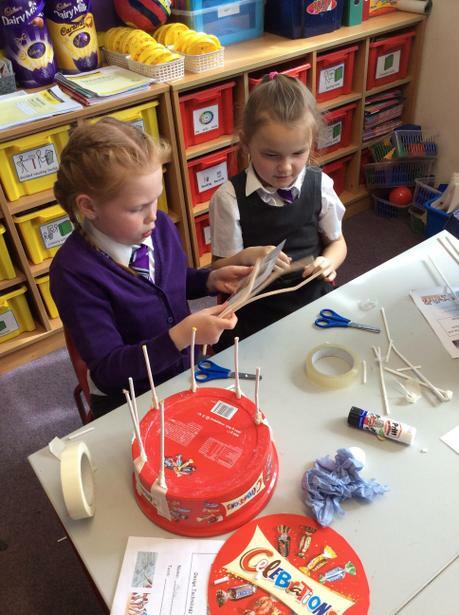 During the year we will be sharing our learning on the Giraffe Class page and hope that you enjoy reading all about it. 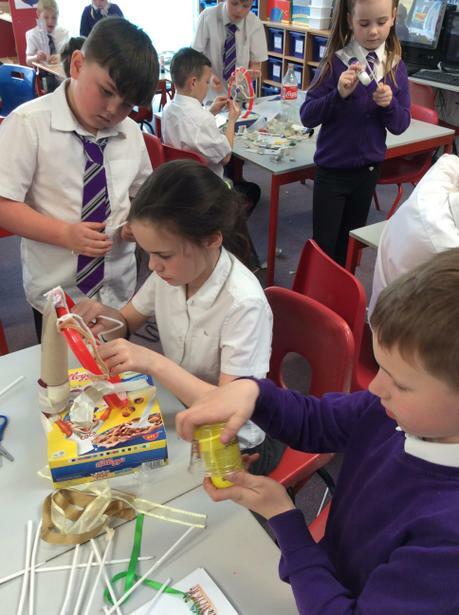 Watch this space......! 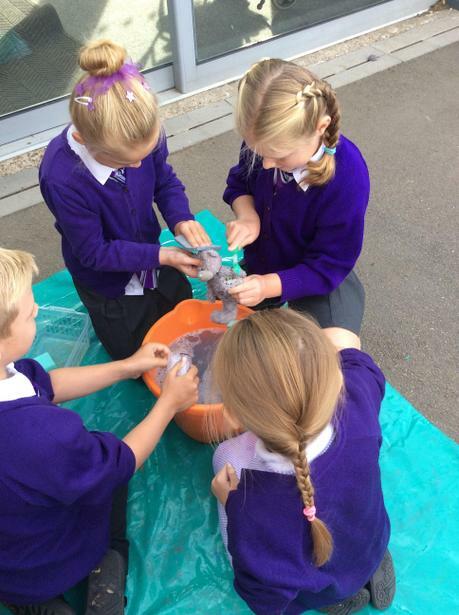 This term the whole school have been reading the story 'Lost and Found' by Oliver Jeffers and each class has had the opportunity to take part in a range of different learning opportunities. 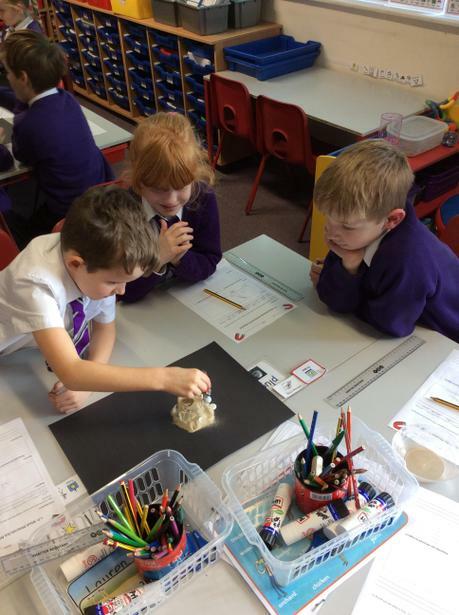 Giraffe class have spent time looking at the emotions that each of the characters felt at different points in the story. 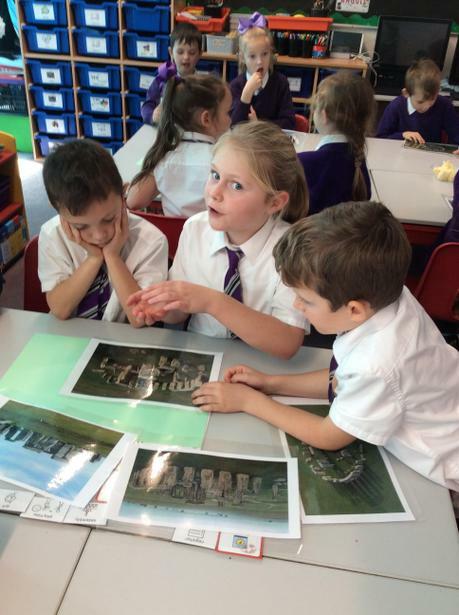 Hot seating, role play then helped the children to write narrative poems titled 'Lost and Found'. 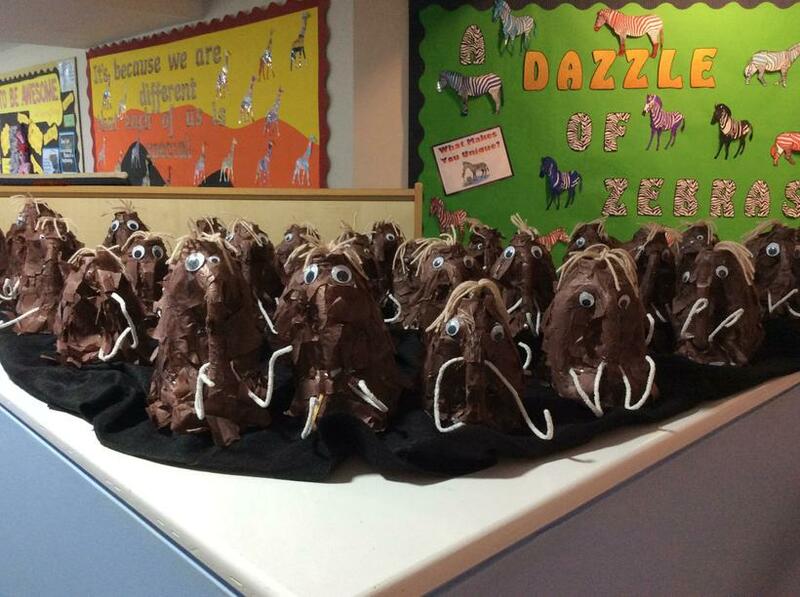 To celebrate 2019 World Book Day children were allowed to come in to school dressed as their favourite story character. 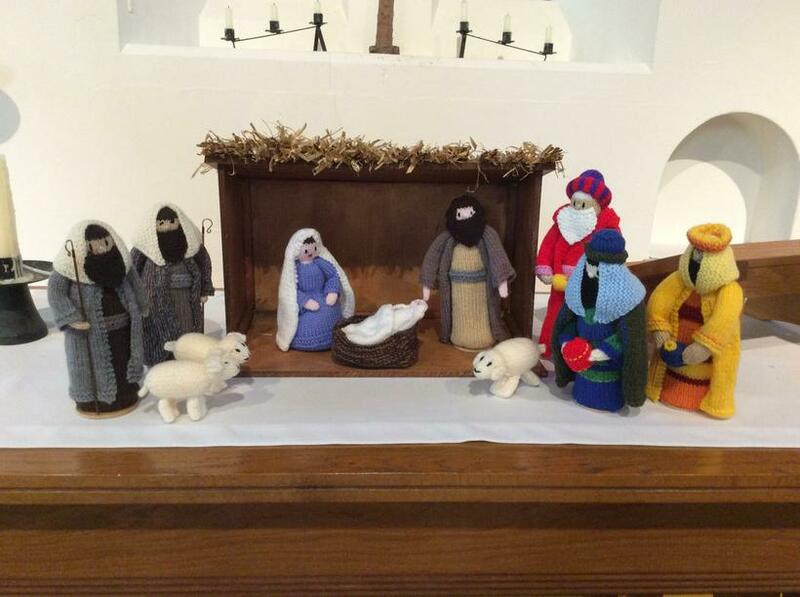 How many can you recognise? 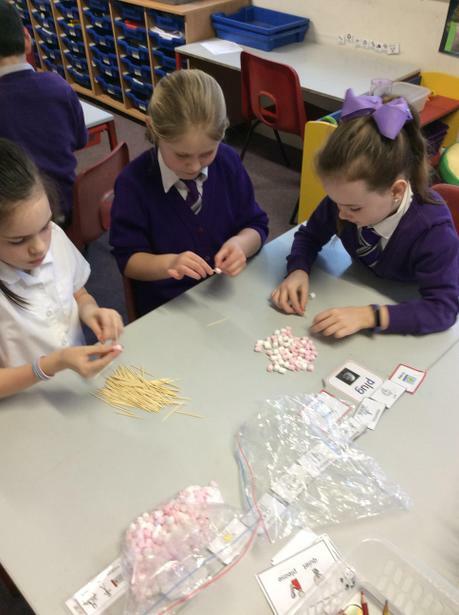 This term in Maths we have been using addition, subtraction, multiplication and division to help us solve 1 and 2 step word problems. 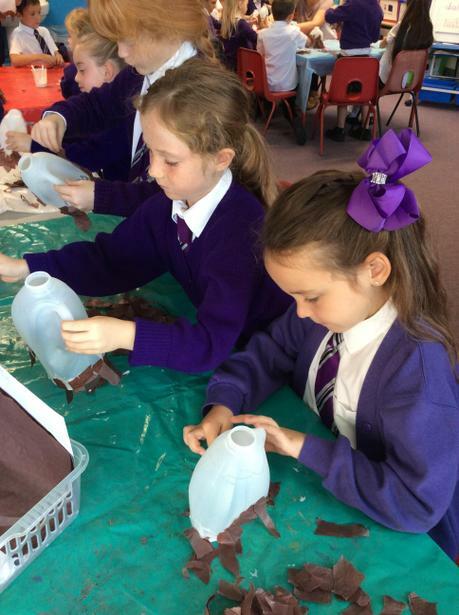 In art this year the children are being provided with opportunities to learn and develop different skills through the study of famous artists and their techniques. 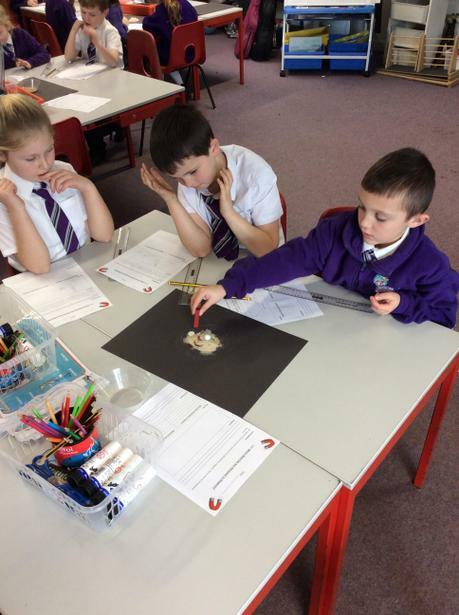 This term we have looked at Van Gough and used his 'Starry Night' painting as a stimulus for our work. 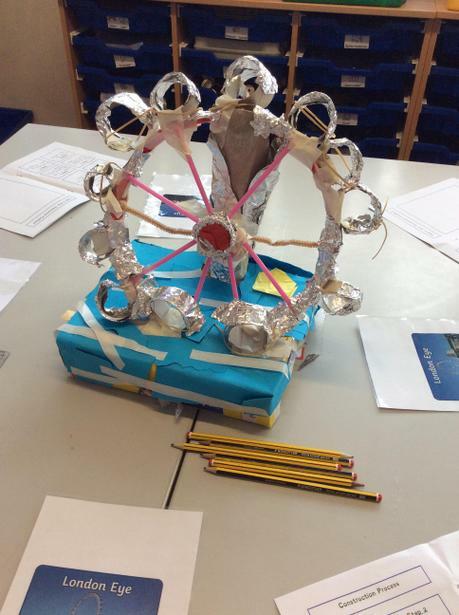 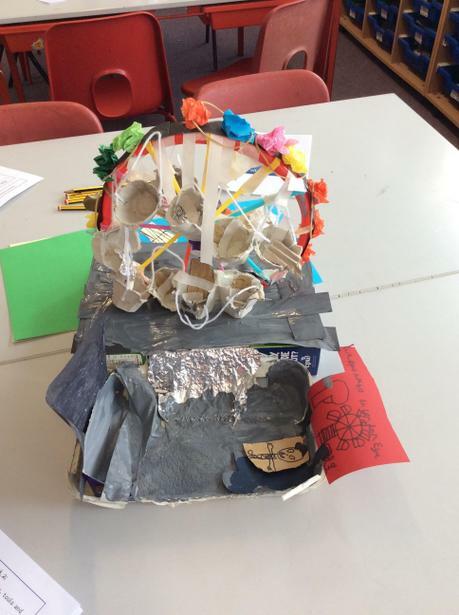 I think you will agree the work that the children have produced is outstanding and definitely worth a million pound price tag. 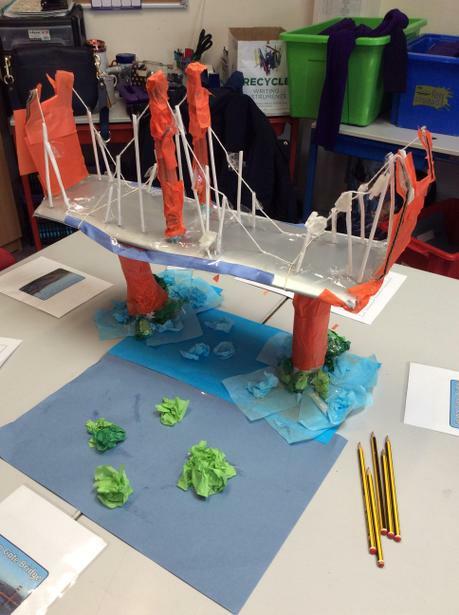 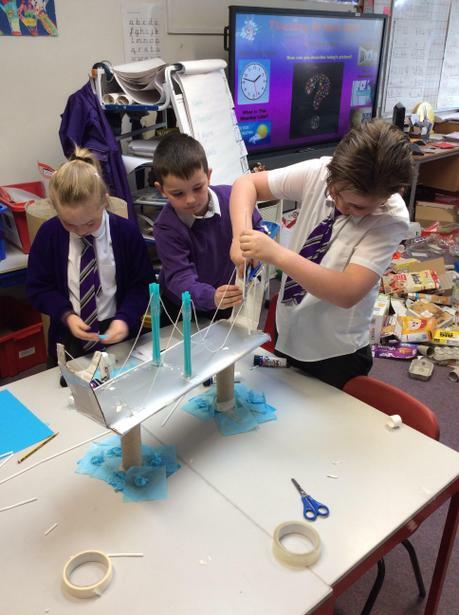 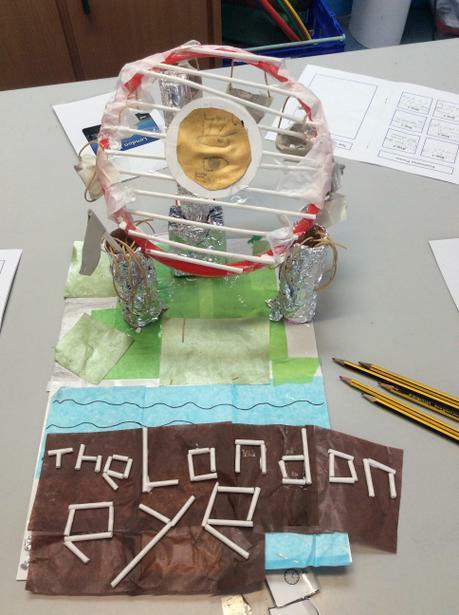 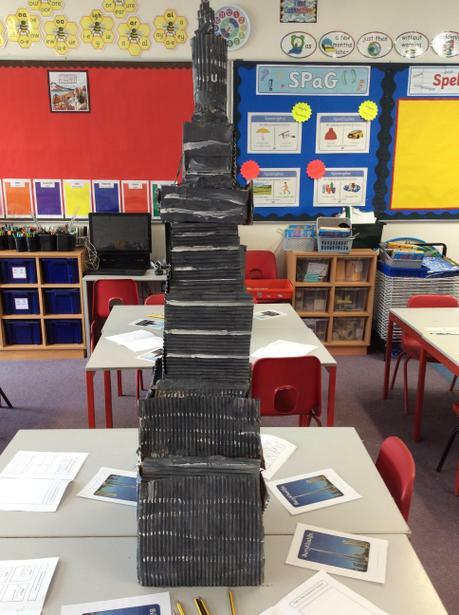 This week the children have created models of well known landmarks and monuments from the 7 continents of the world. 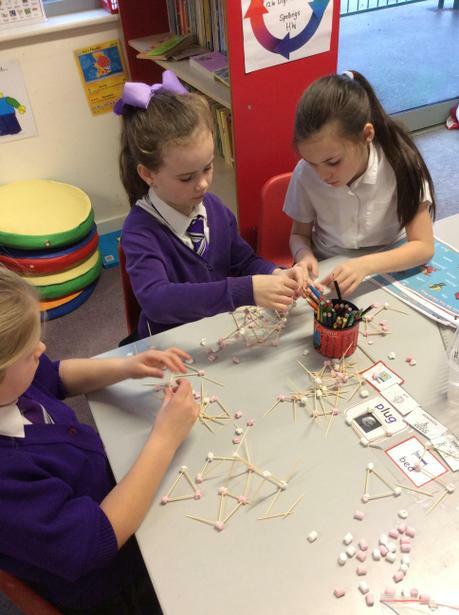 They worked together collaboratively in groups to choose, plan, construct and evaluate their work. 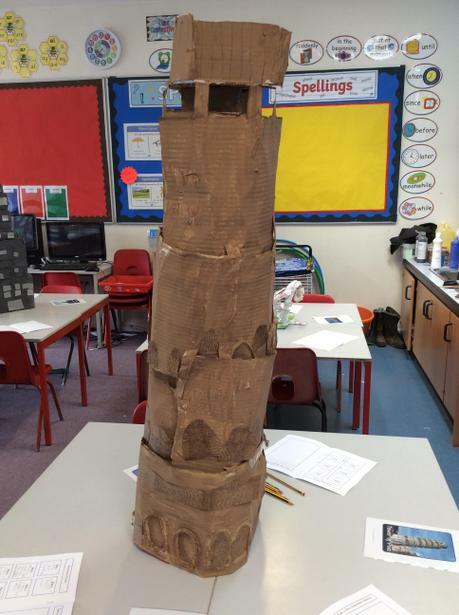 I think you will agree that the detail on the finished products is fantastic. 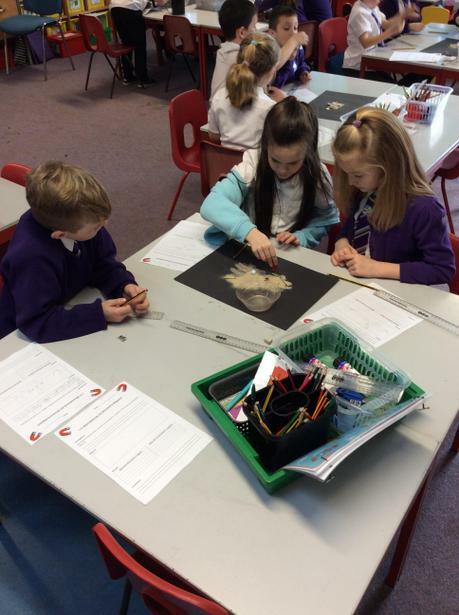 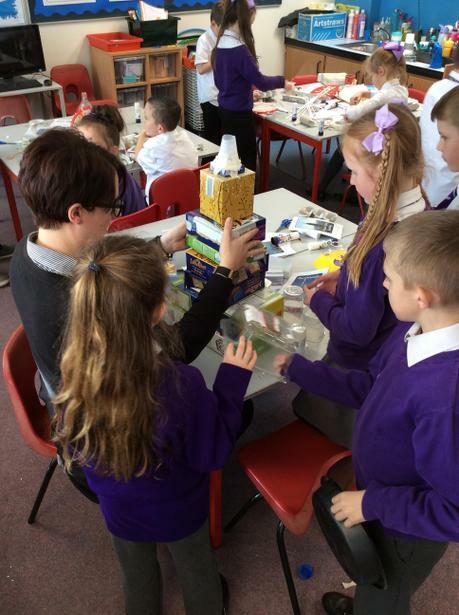 In Art this term we are learning about different artists and the techniques they specialise in. 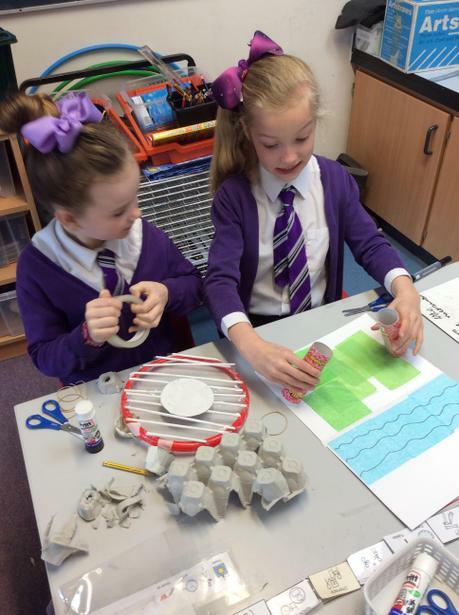 Linking with our Geography topic 'Oceans & Continents' we will be looking at a specific style of art from each of the continents. 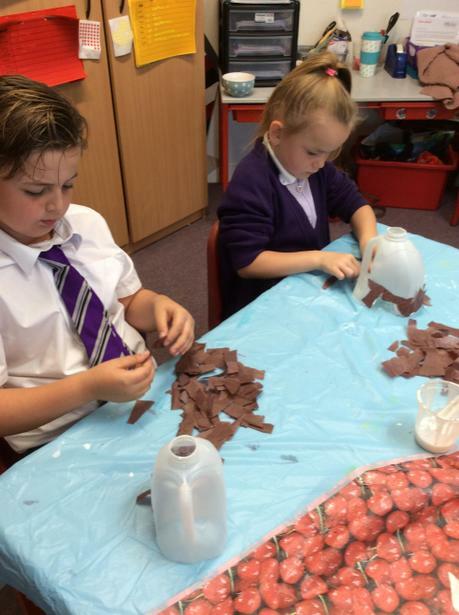 This week we have produced African Silhouette pictures. 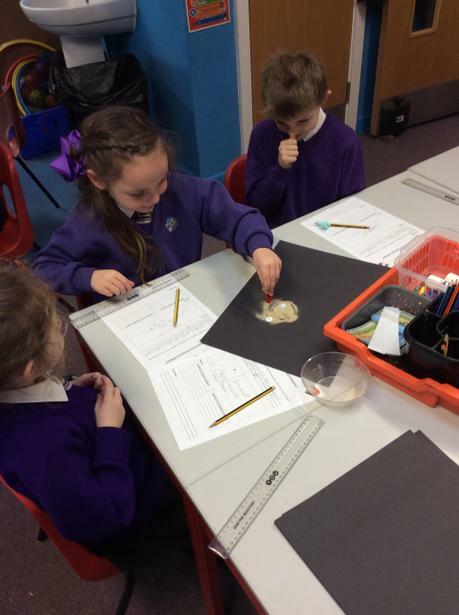 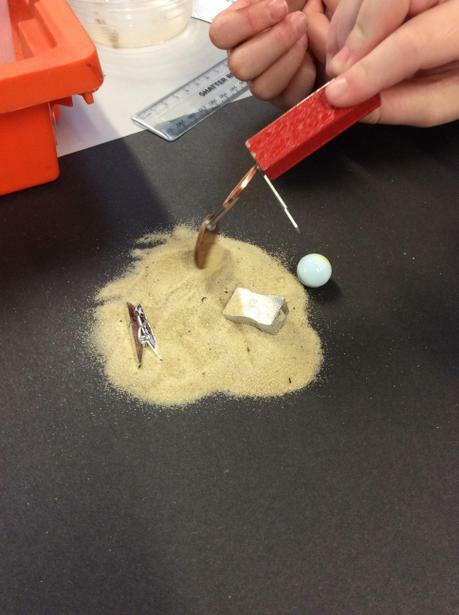 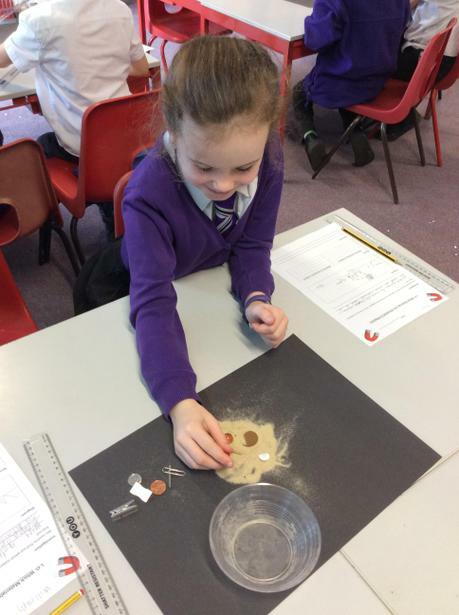 In Science this term we have explored the magnetic properties of different materials through a range of practical investigations. 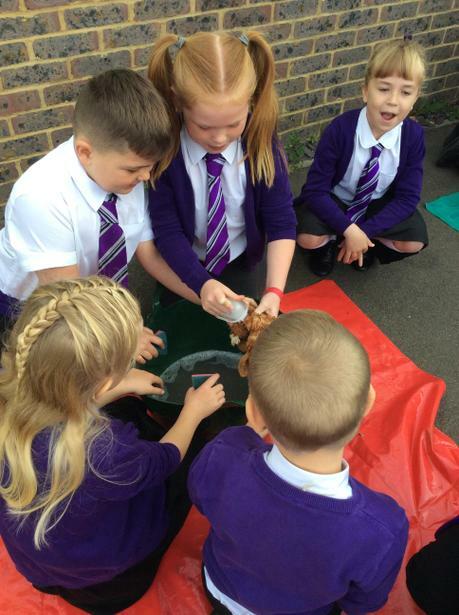 The children have enjoyed reading Roald Dahl's Fantastic Mr Fox in Literacy and used the character and story structure to write their own adventure stories and compared Roald Dahl's version with a play script of the same story. 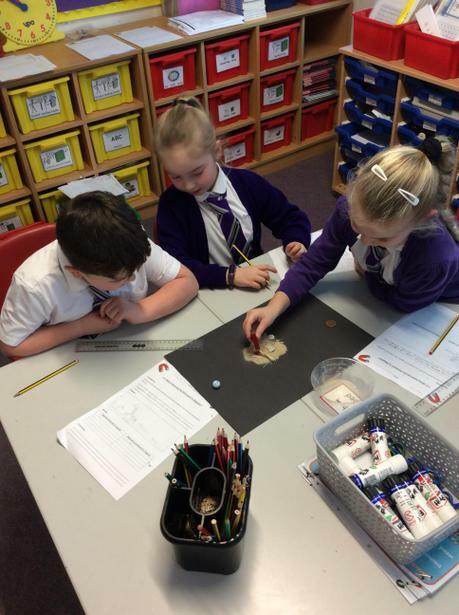 In Maths we have been learning to recognise fractions and their equivalent decimals. 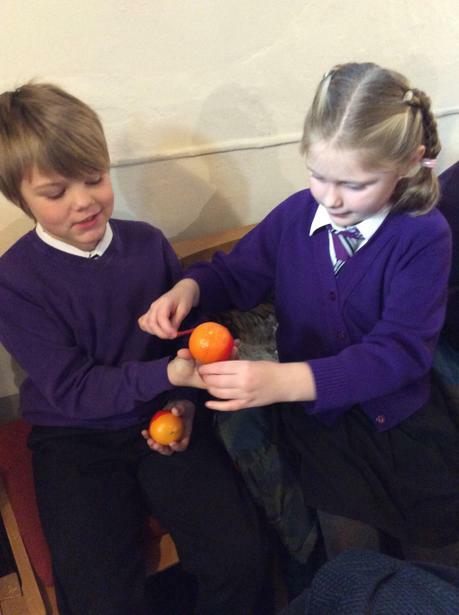 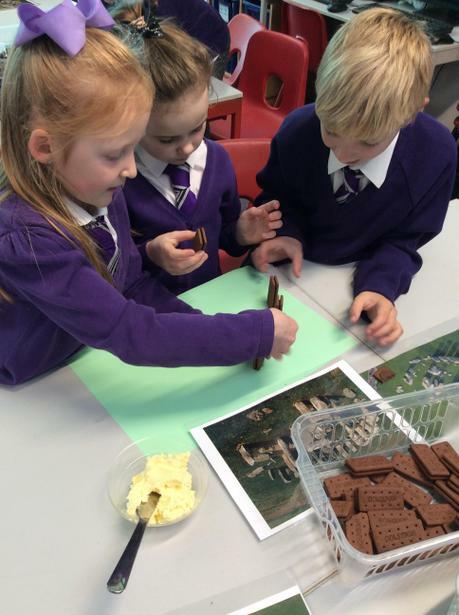 The children found this much easier to understand when we related it to pizza and chocolate cake! 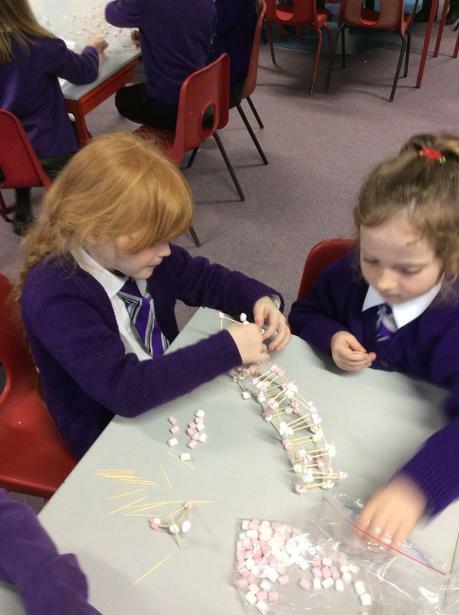 Team building activities help us to learn to work together. 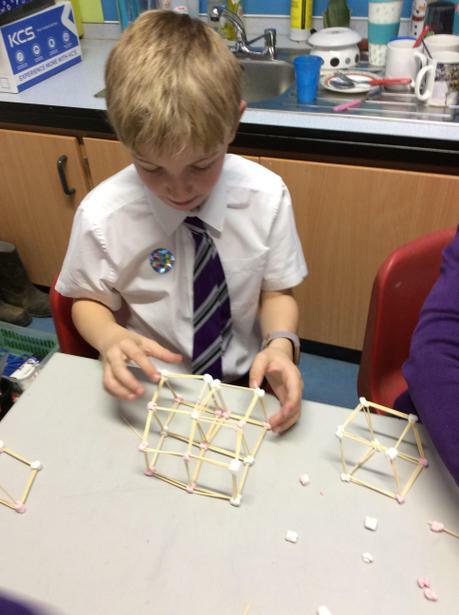 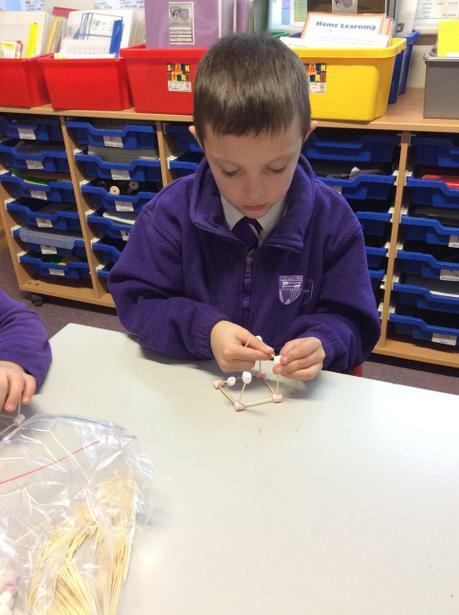 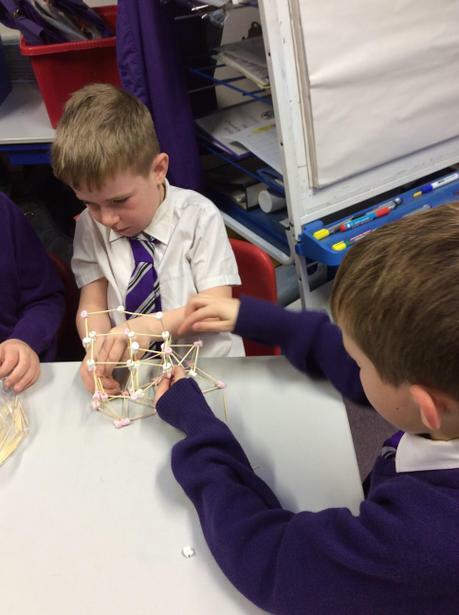 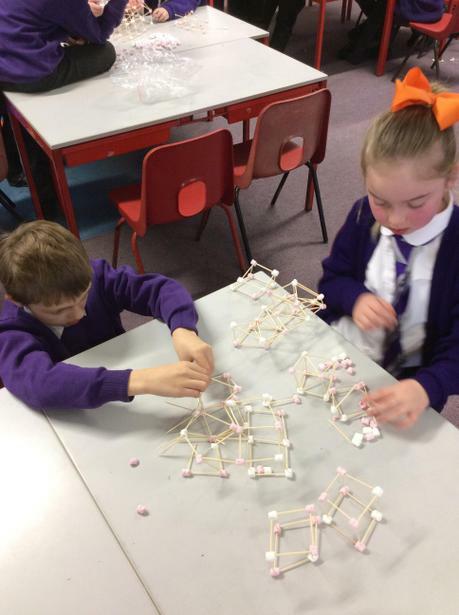 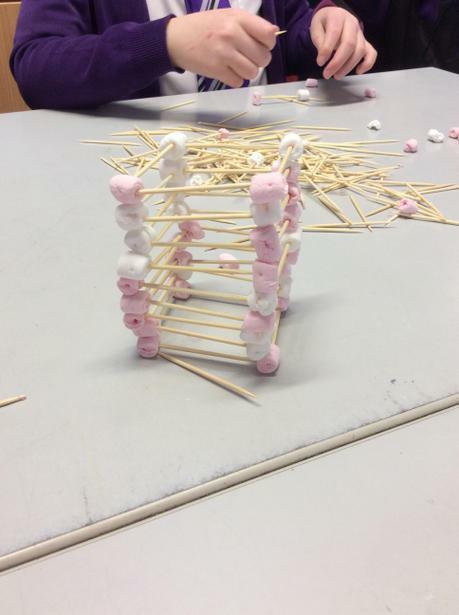 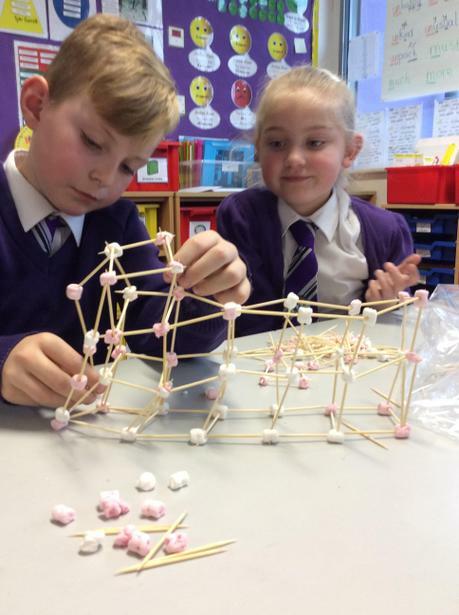 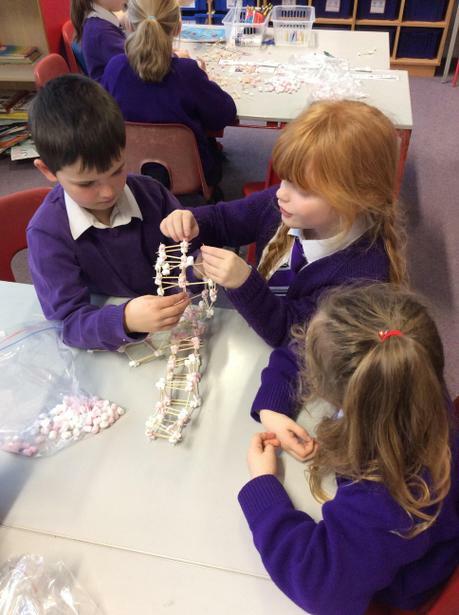 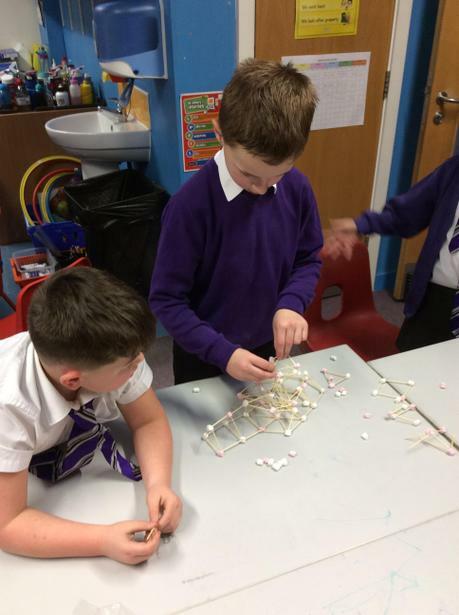 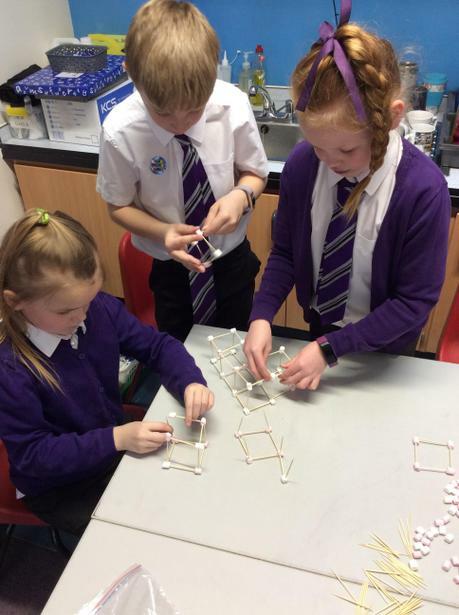 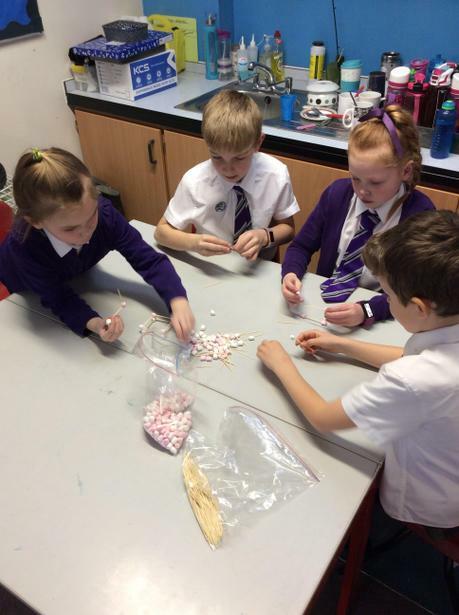 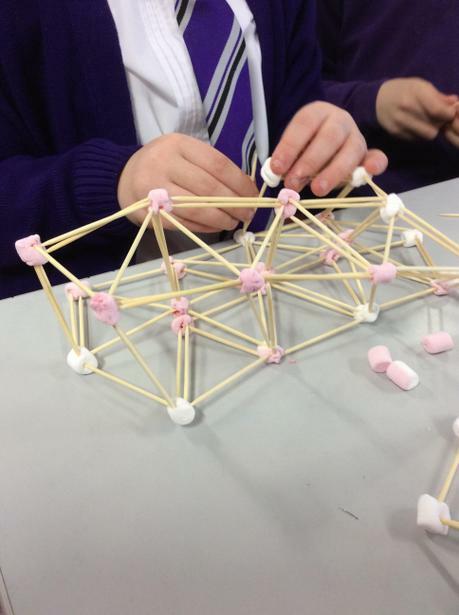 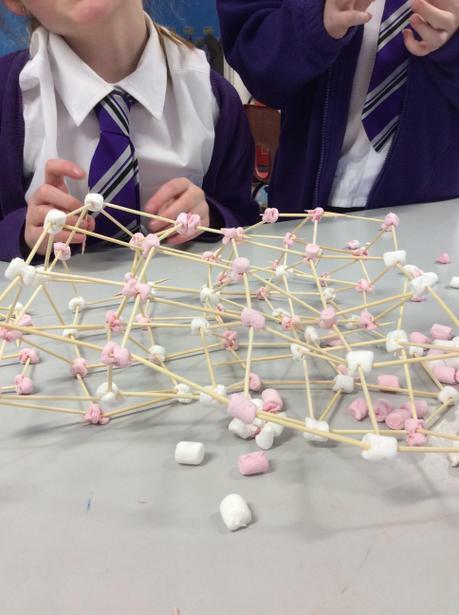 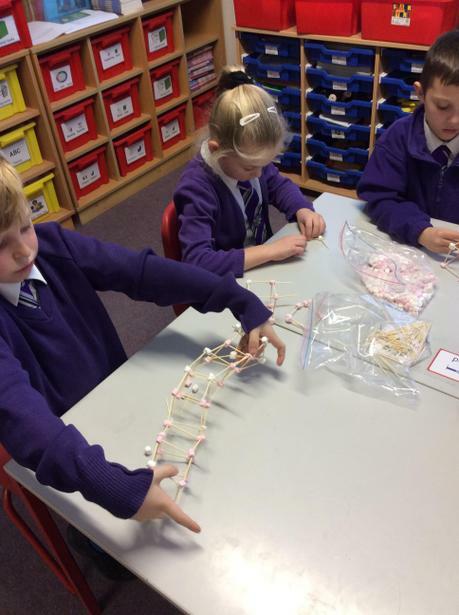 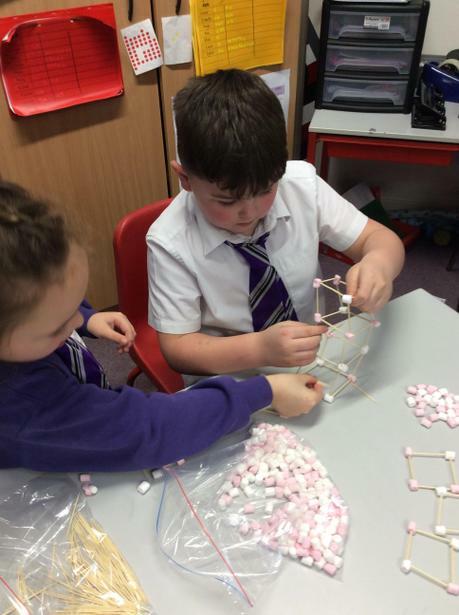 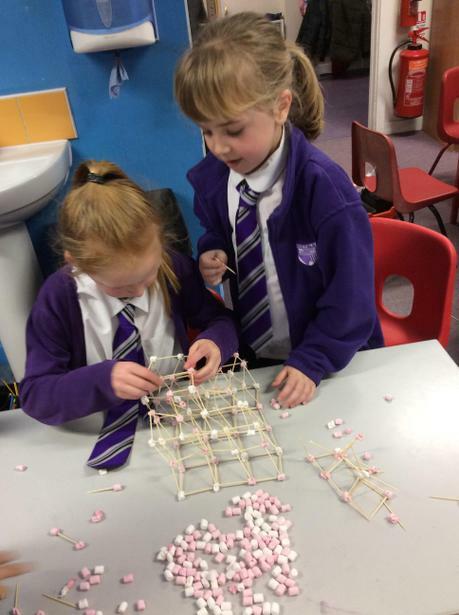 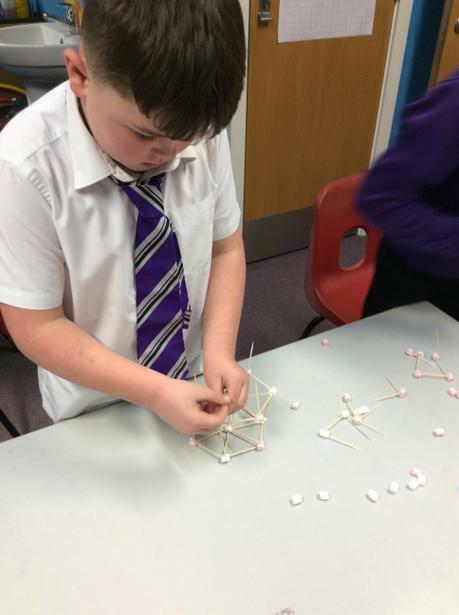 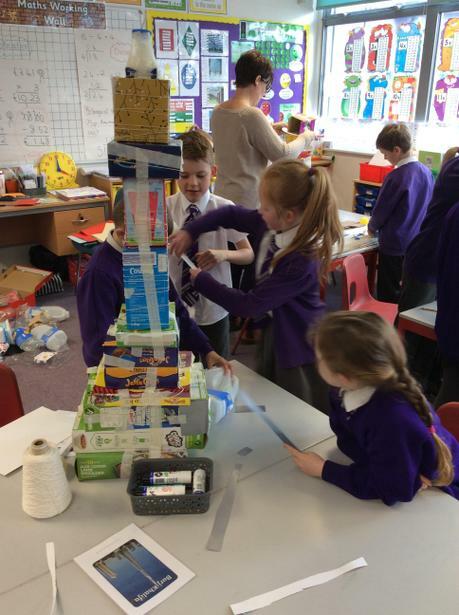 The children were set a challenge to build the tallest, free standing structure using cocktail sticks and mini marshmallows. 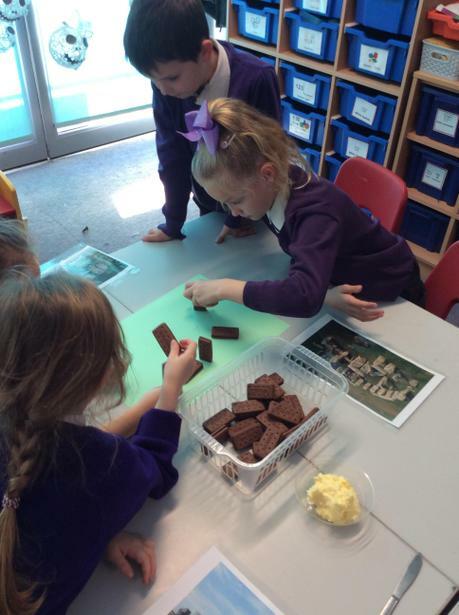 To be successful the children needed to take turns, listening to and consider everyone's ideas in the group. 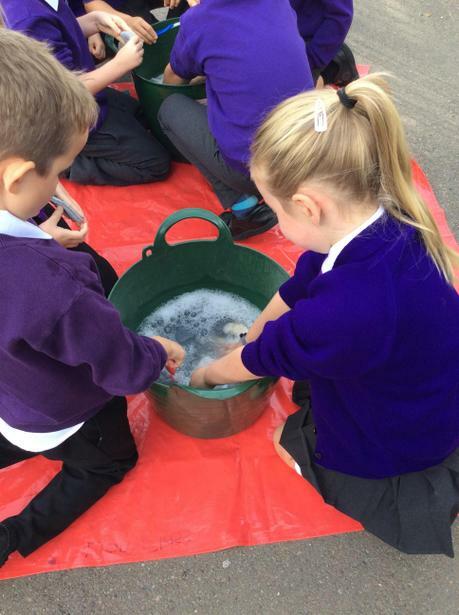 As well as developing valuable social skills they children had a lot of fun. 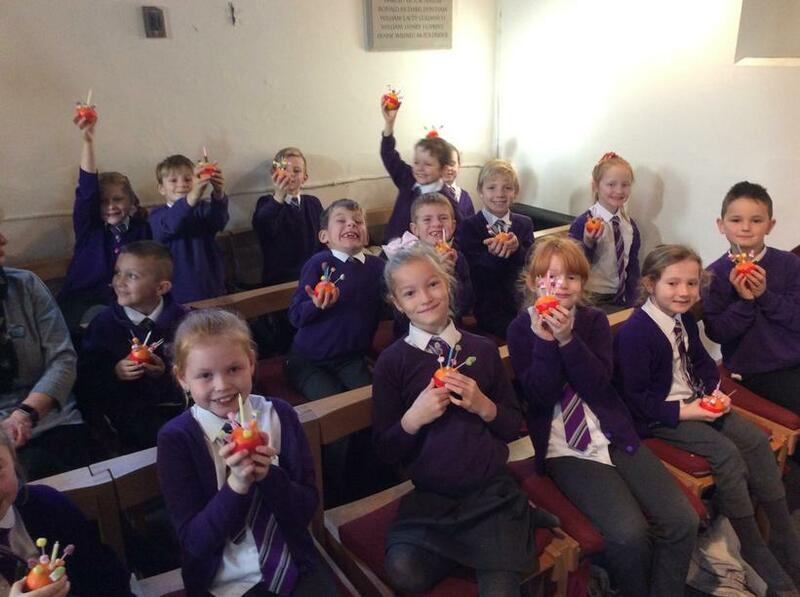 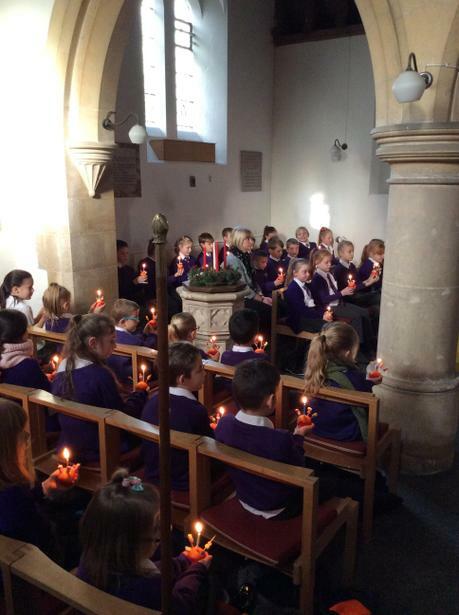 Giraffes have started to think about Remembrance Sunday and the significance of wearing Poppies. 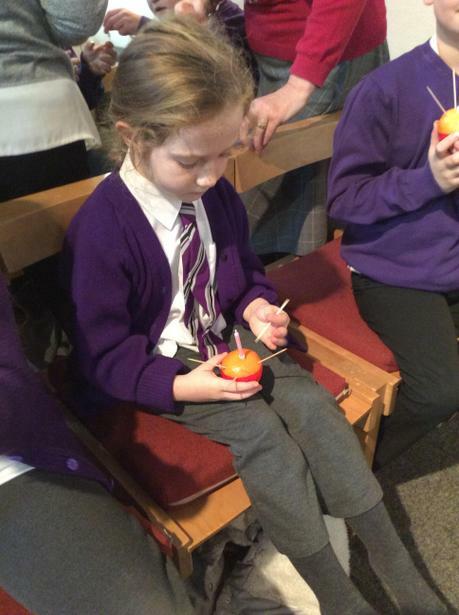 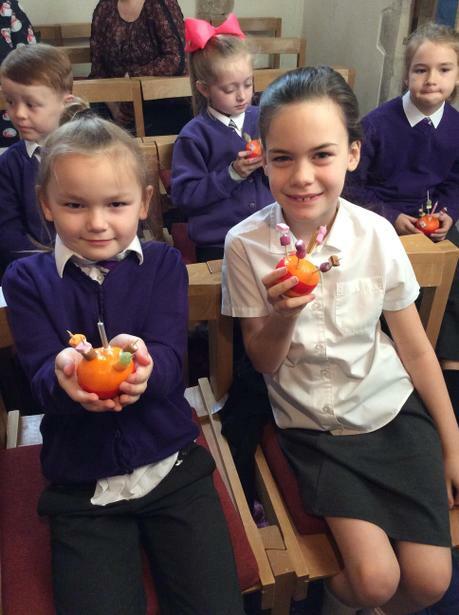 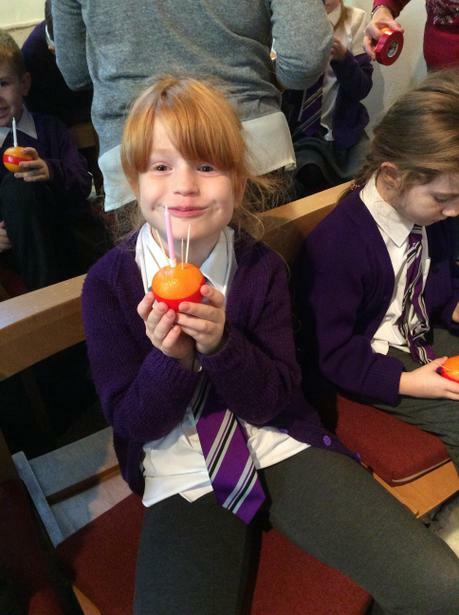 To support their learning the children have made their own poppies to share with family and friends. 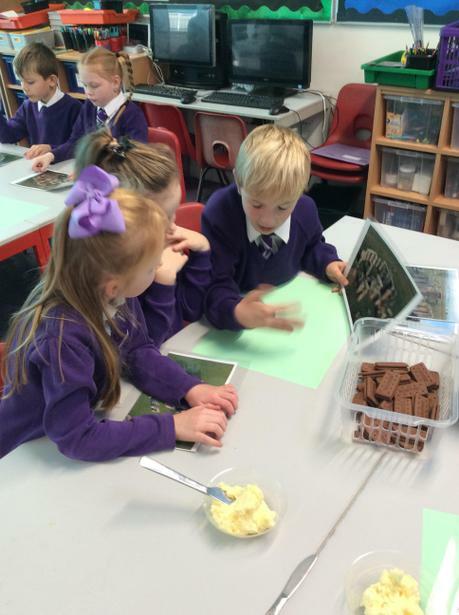 Giraffe Class have been remembering Benjamin George Flanders. 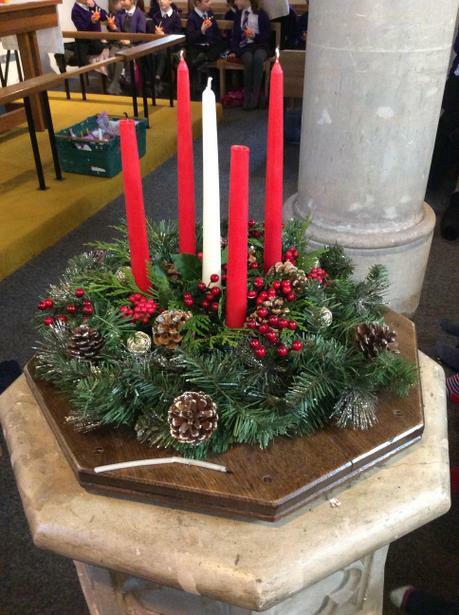 He was a mechanic 2nd class in the Royal Air Force and lost his life while servicing and repairing planes at RAF Duxford during the 1st World War. 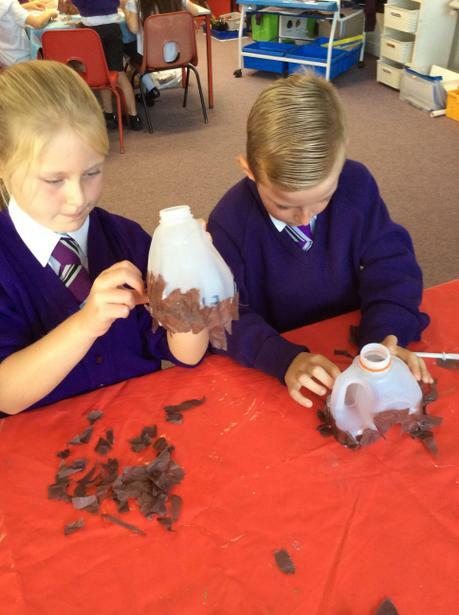 We are very proud of the poppies we have made. 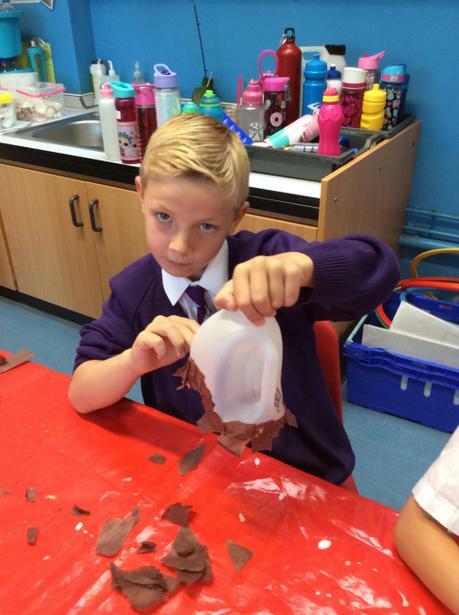 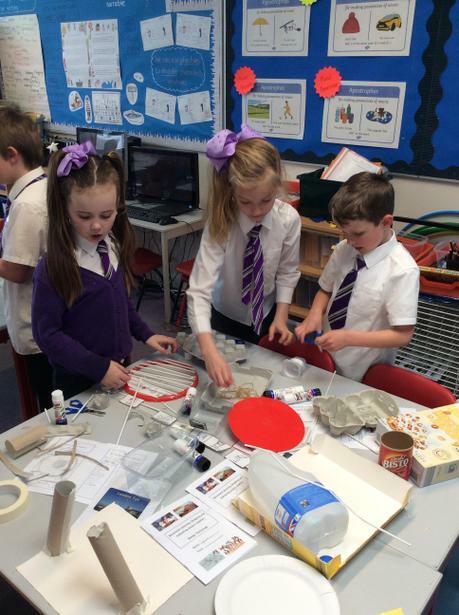 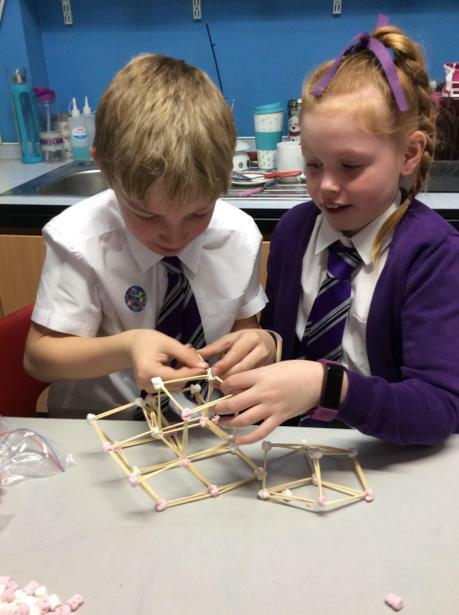 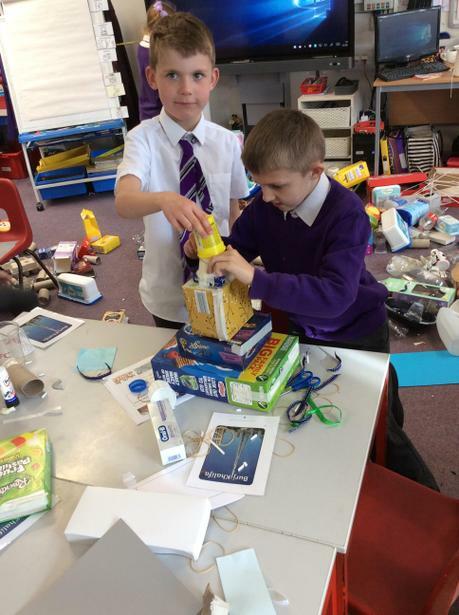 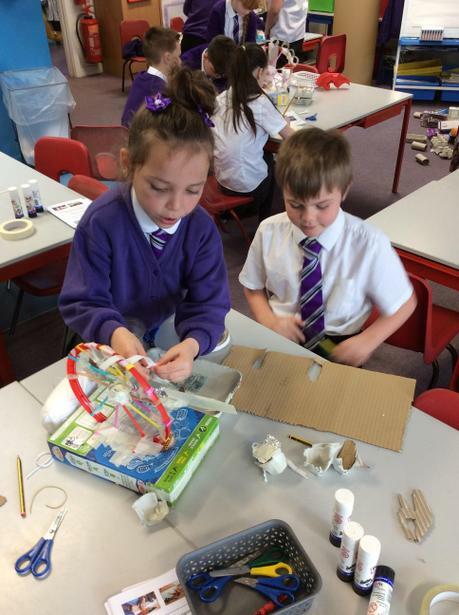 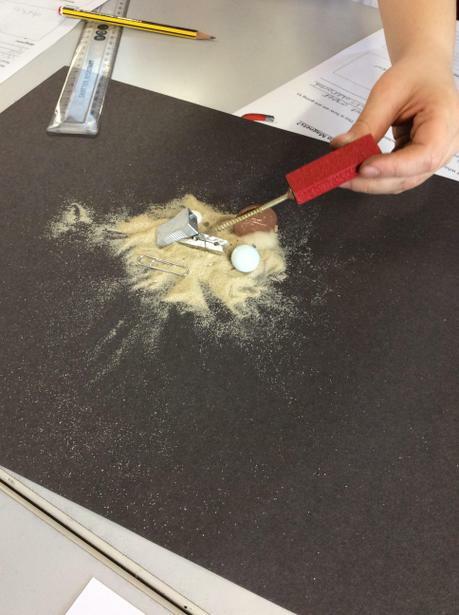 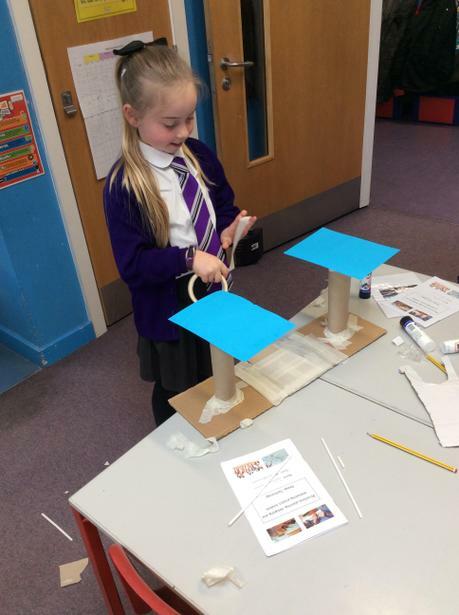 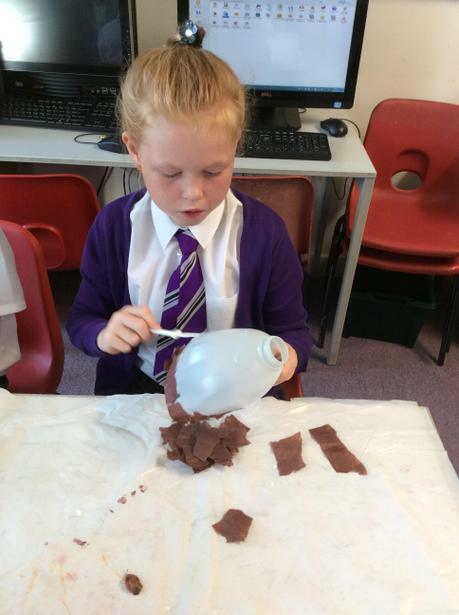 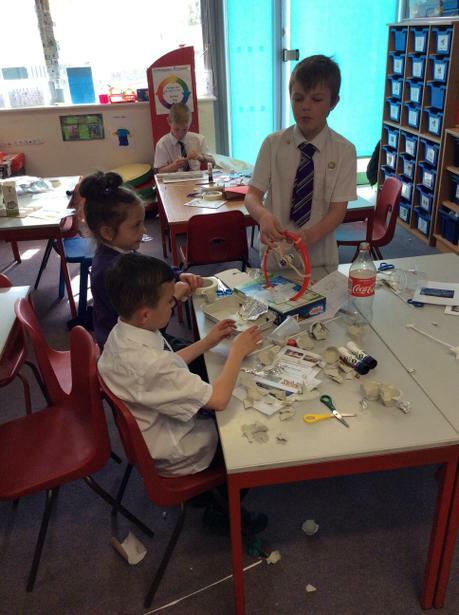 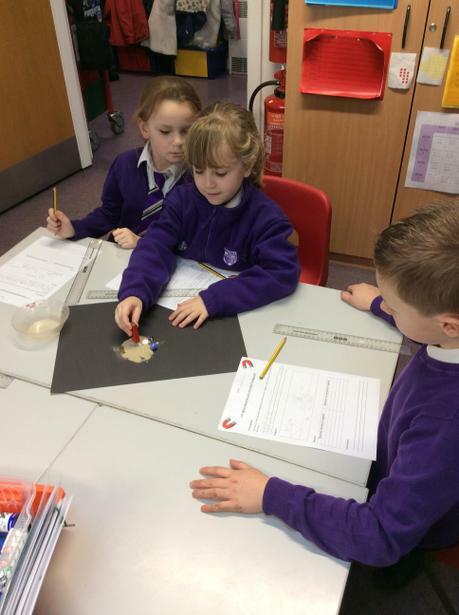 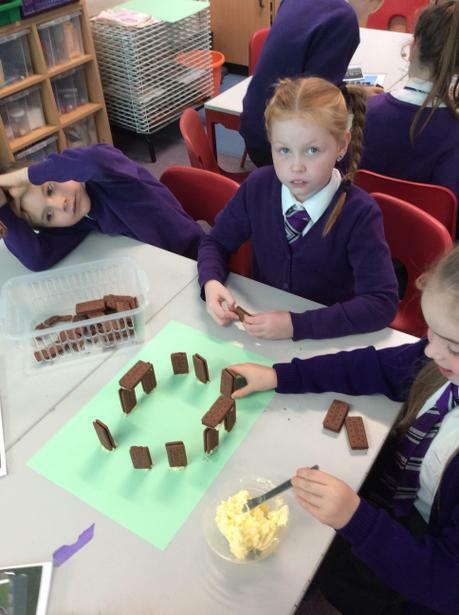 In Design & Technology this term we have continued our learning about the stone age, using our research about the stone age way of like to create caves like the stone age settlers may have lived in. 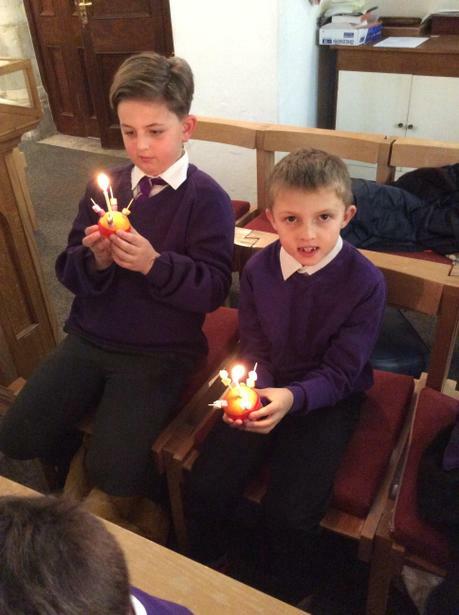 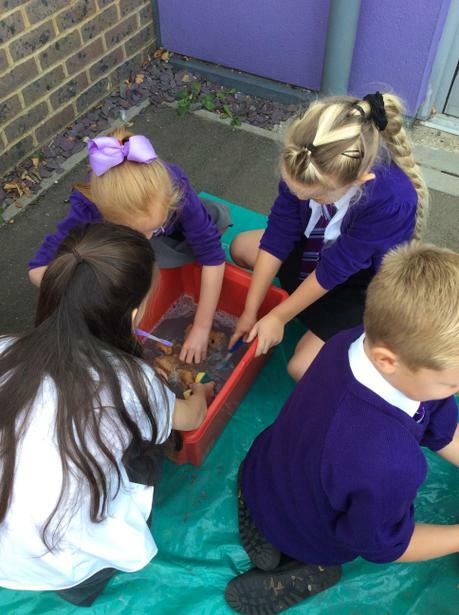 On reflection we have decided that we much preferred our cosy homes and central heating! 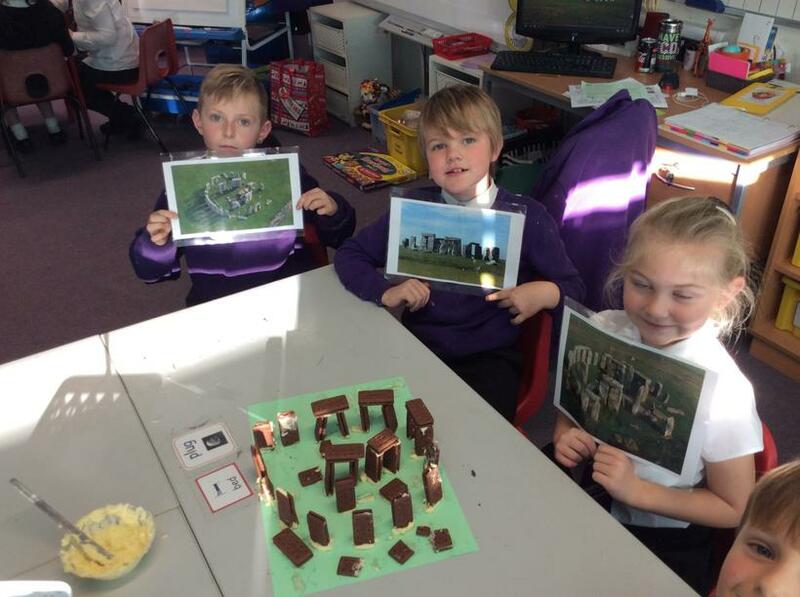 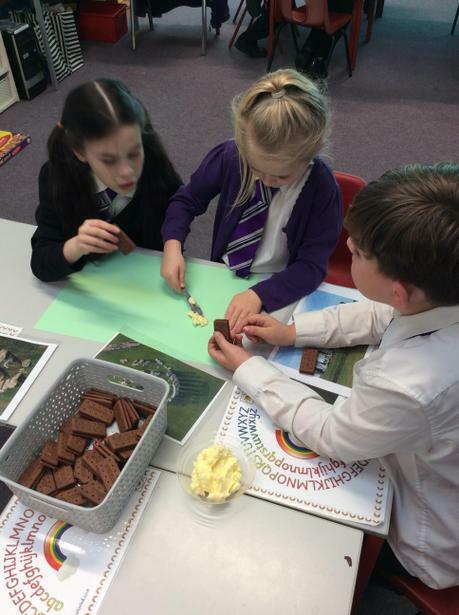 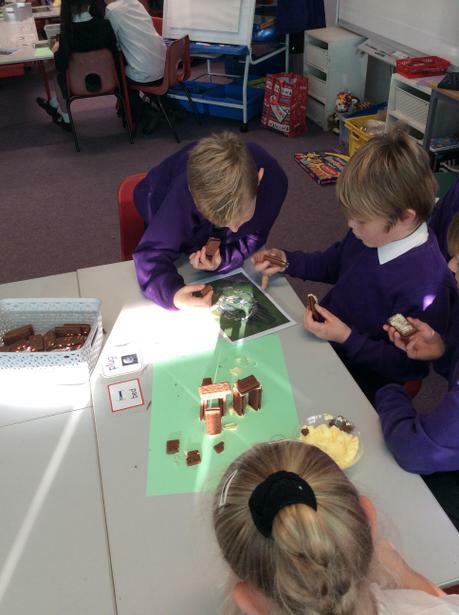 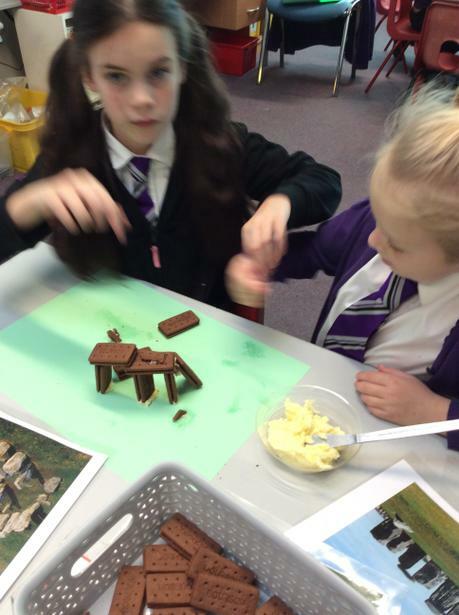 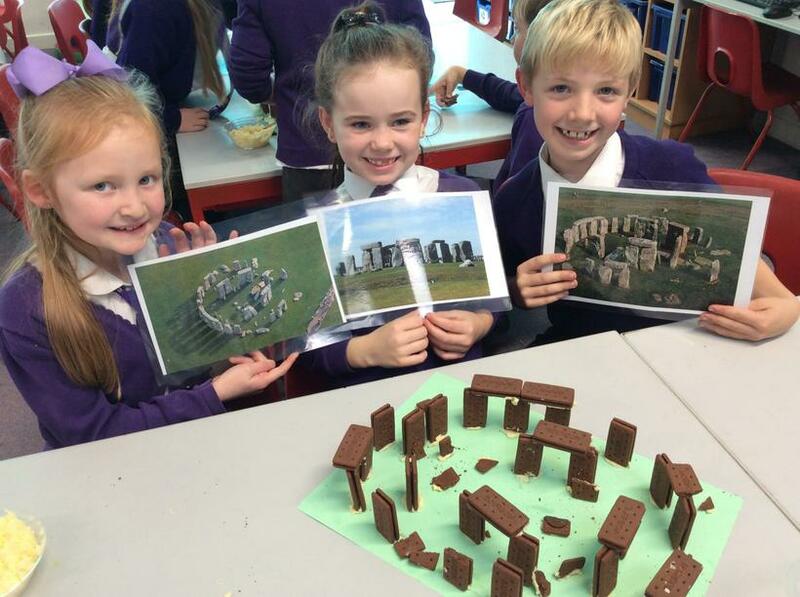 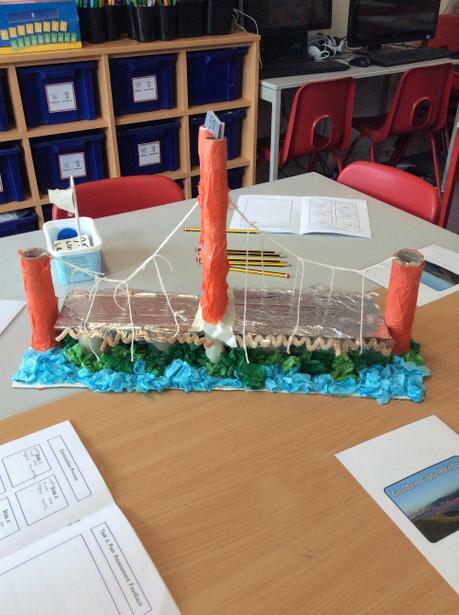 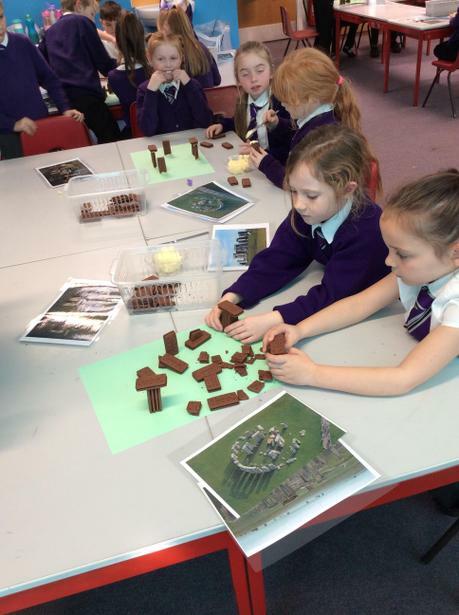 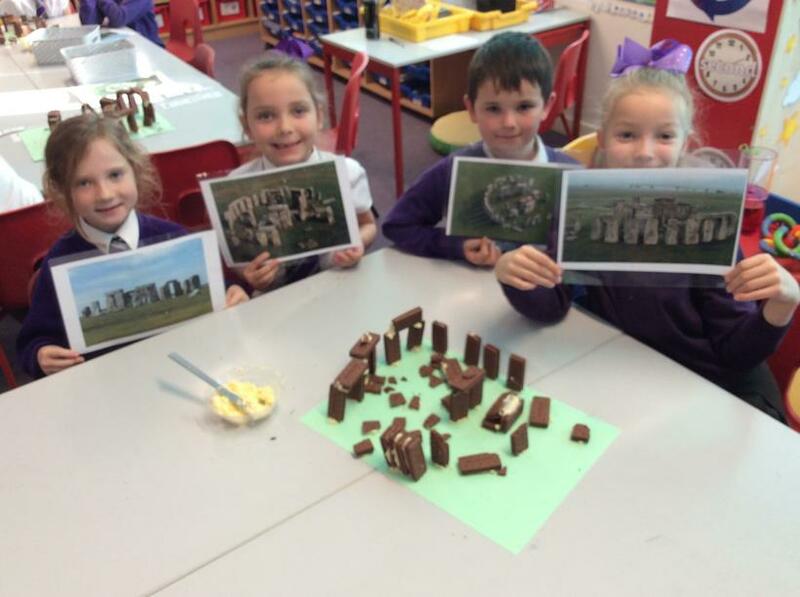 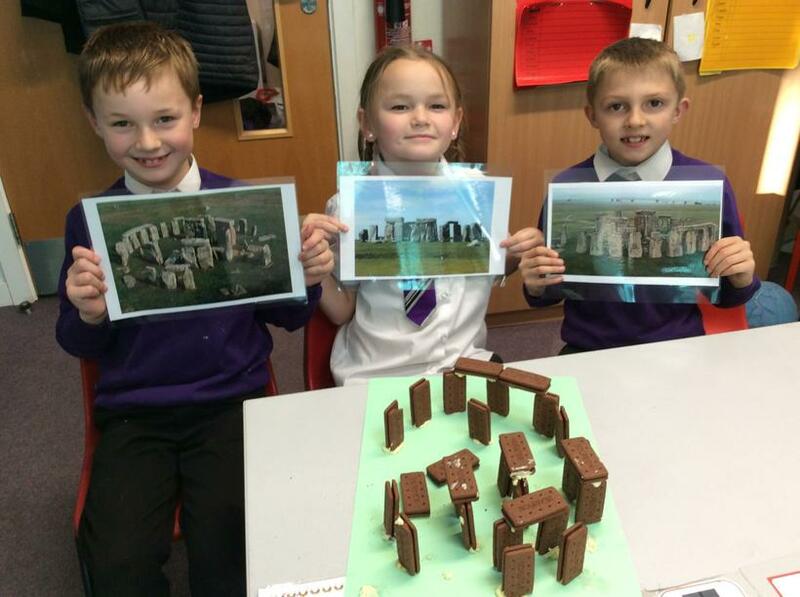 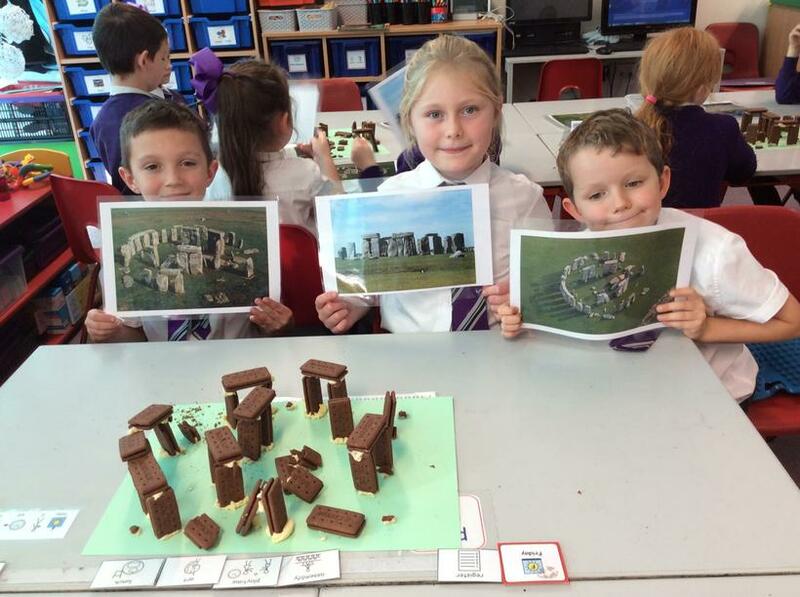 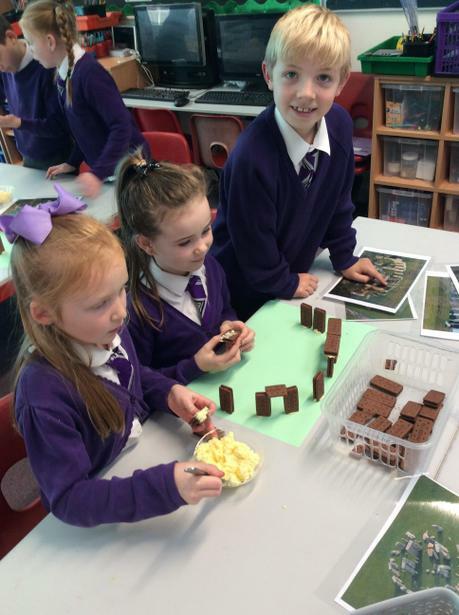 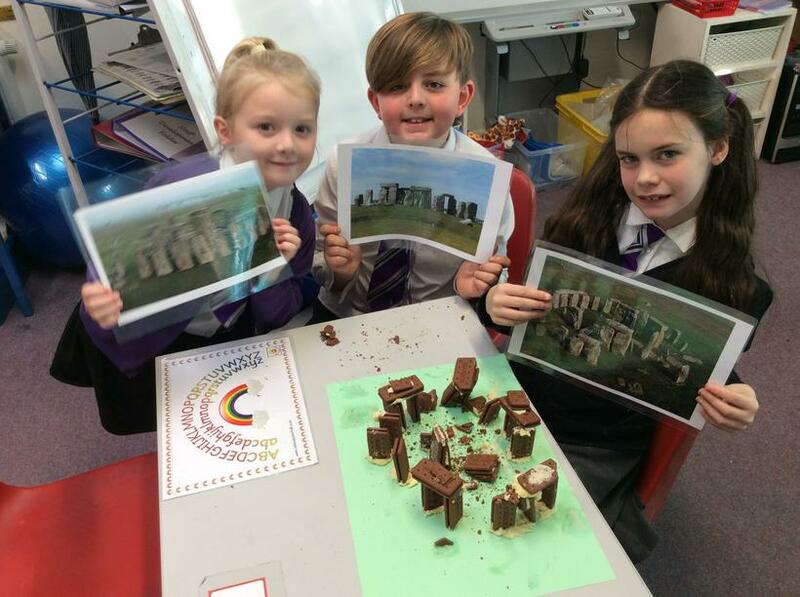 This term our learning has moved from the Stone Age to the Bronze Age and one of the most significant events that happened was the building of Stone Henge. 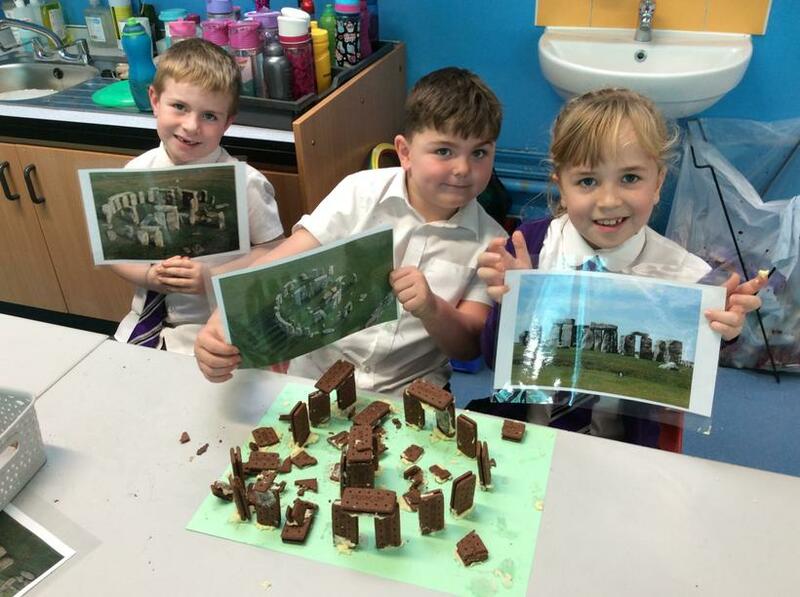 Giraffe Class have researched and watched videos about the unique landmark and even had a go at building their own model of Stone Henge.......not to scale of course! 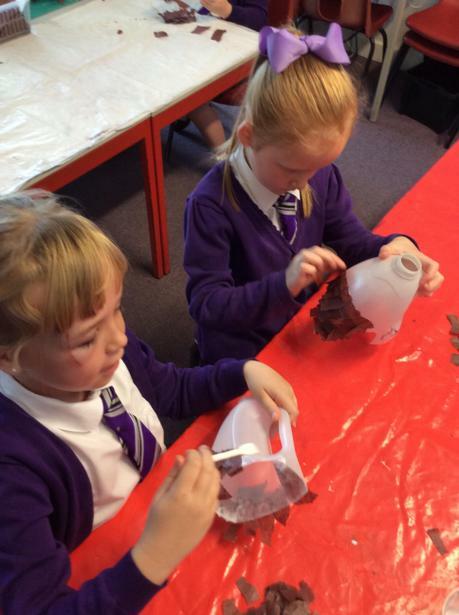 In Literacy we have been using adjectives, adverbs and verbs to create poems about Autumn. 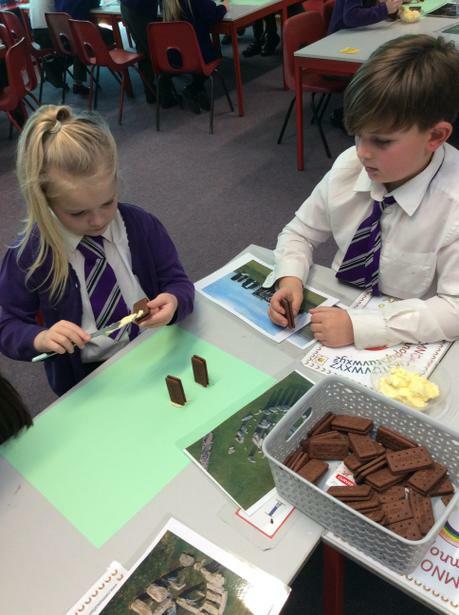 Maths has been all about Multiplication. 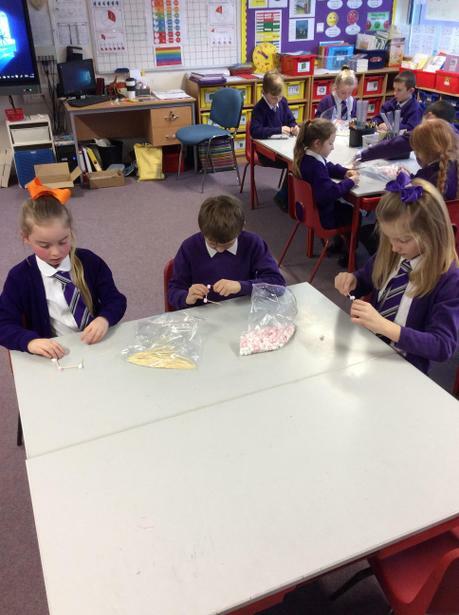 With Christmas nearly here we have been reading Dear Father Christmas to help learn how to write the perfect letter.........fingers crossed it works! 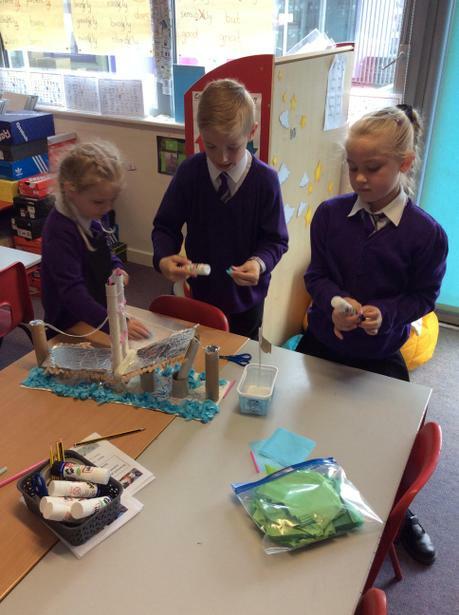 The children had to remember to write in the correct tense, use powerful verbs and a range of different personal pronouns. 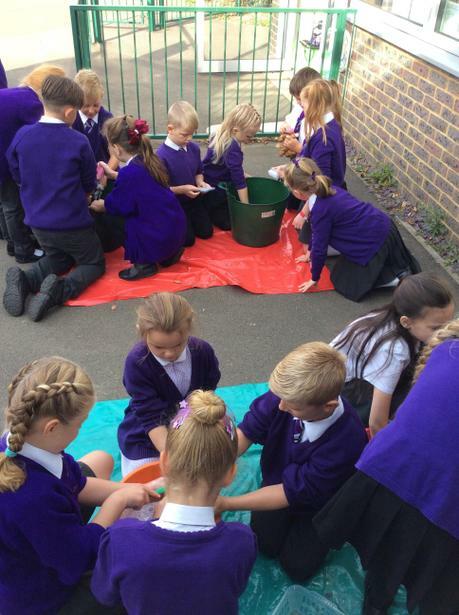 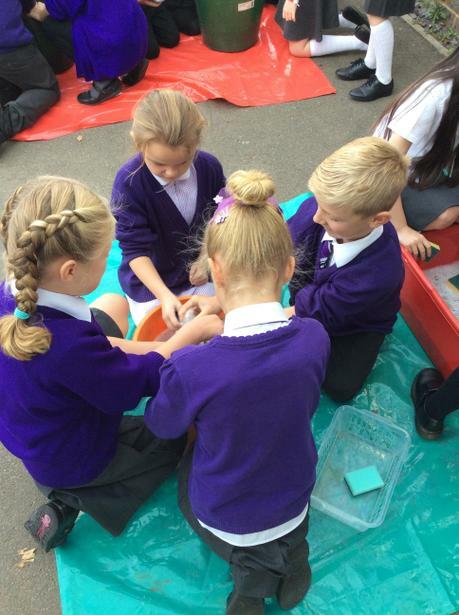 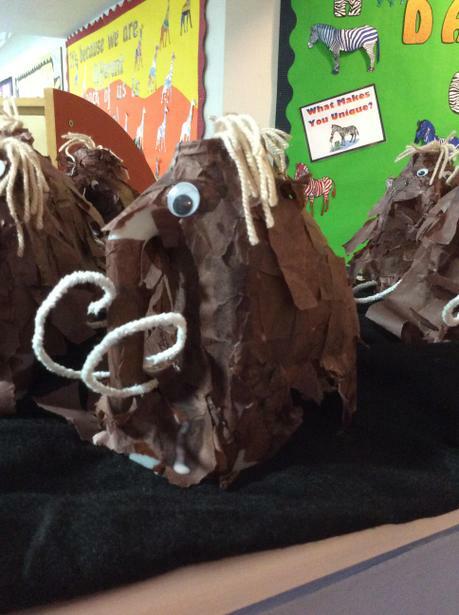 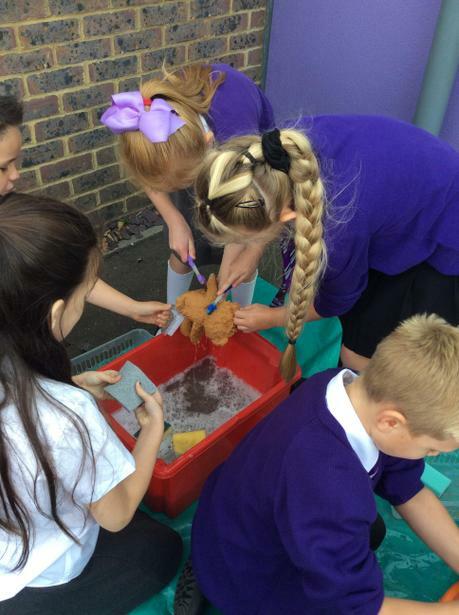 This week in Literacy we are using the text 'How to Wash a Woolly Mammoth' to support our instruction writing. 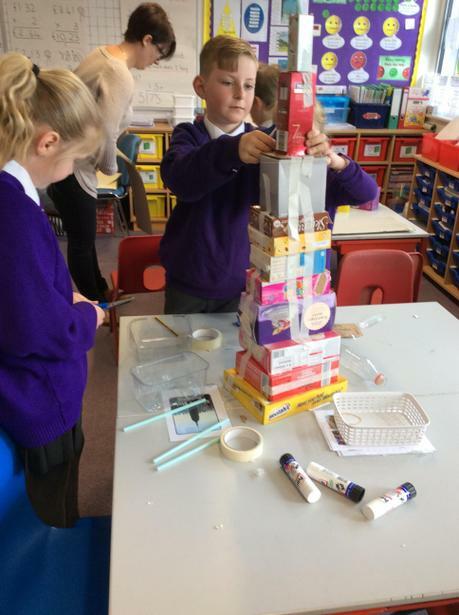 We have learnt that we need to include imperative (bossy) verbs, prepositions, adverbs and adjectives...........wow that's a lot to remember! 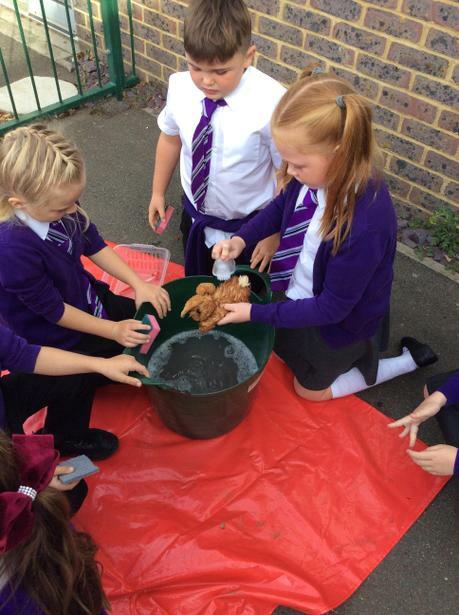 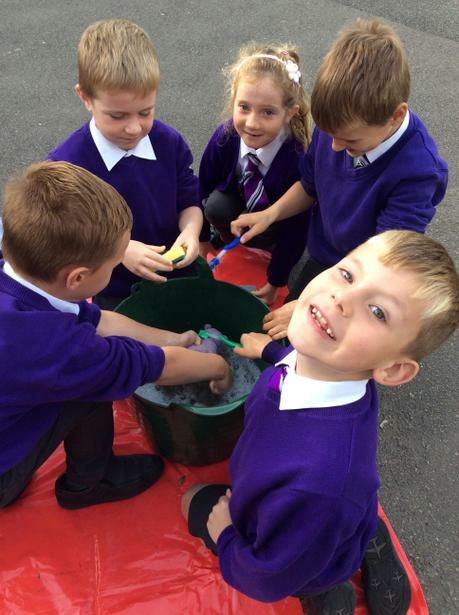 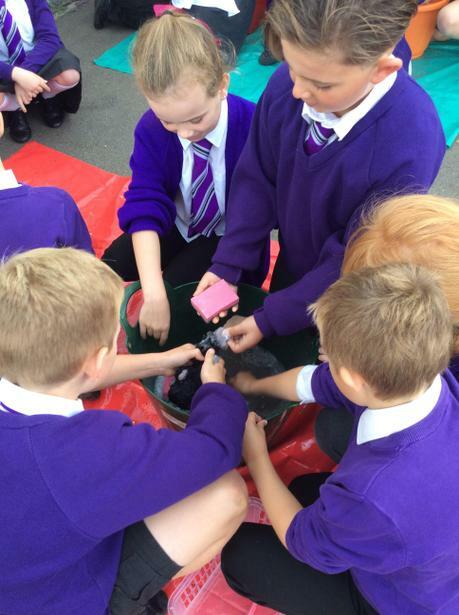 We started the week by washing some very dirty toys, we had to imagine they were woolly mammoths as Mrs Hogben could find any of them! 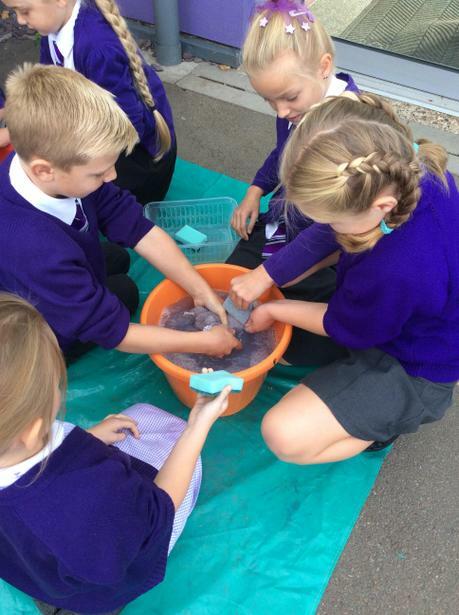 Talking about what we had to do helped us identify and use different imperative verbs like scrub, rinse, buff, polish, soak and lather. 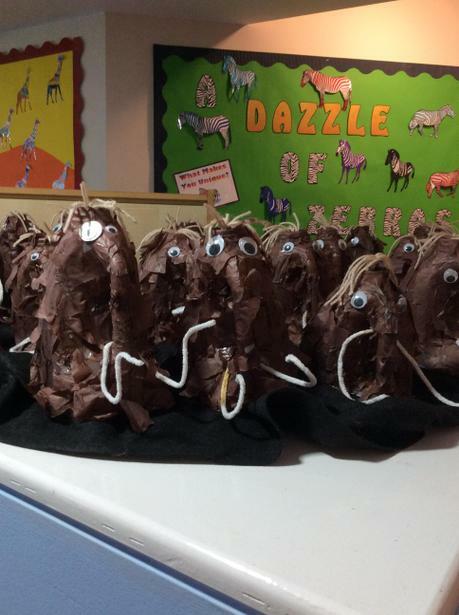 To help us understand how important instructions are we had to follow a set of instructions to make a Woolly Mammoth (thank you for all of the milk bottles!). 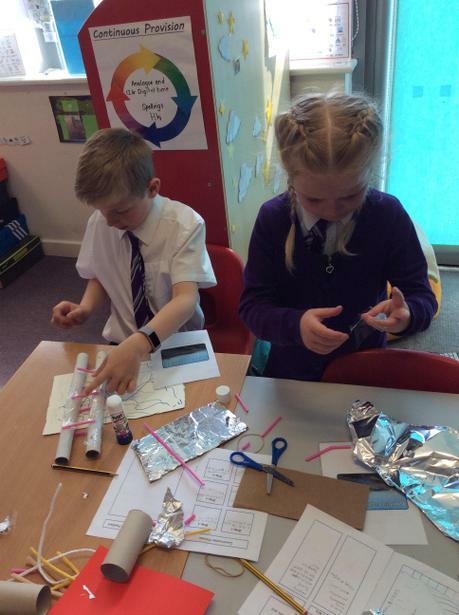 It was great fun and taught us that the more information you can provide in an instruction the easier it is to do something! 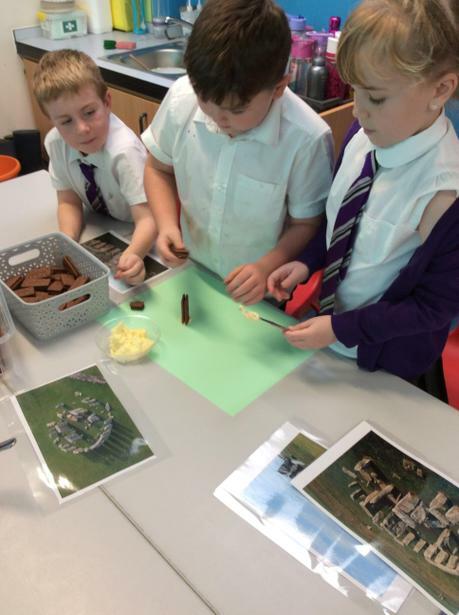 This term we have used the story of 'The Stone Age' boy to support our cross-curricular narrative writing in Literacy and History. 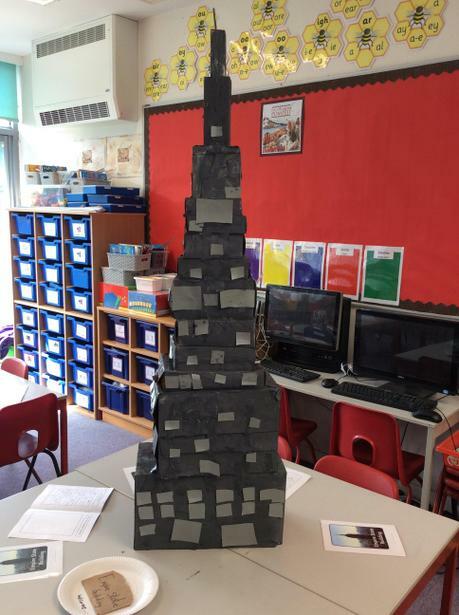 Our working wall will show you all of the different elements we have been learning to use in our writing. 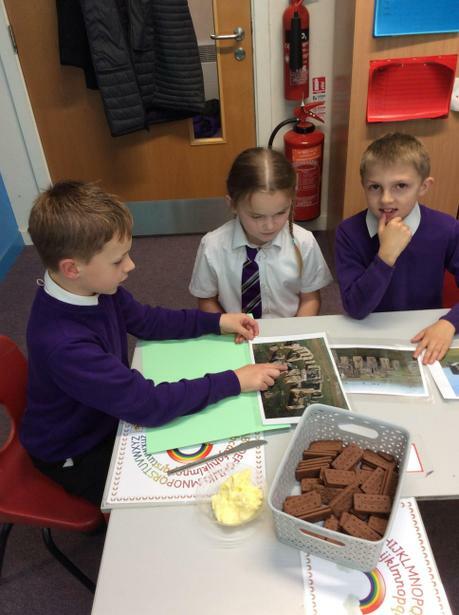 In SPAG (Spelling and Grammar) we have been learning to use Prepositions to describe time and place and to choose the correct Homophone spelling to match the meaning in our writing. 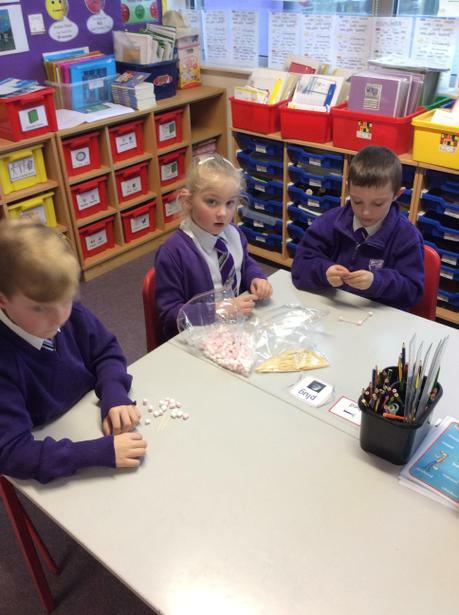 In Maths we are learning to use the column method for Addition and Subtraction. 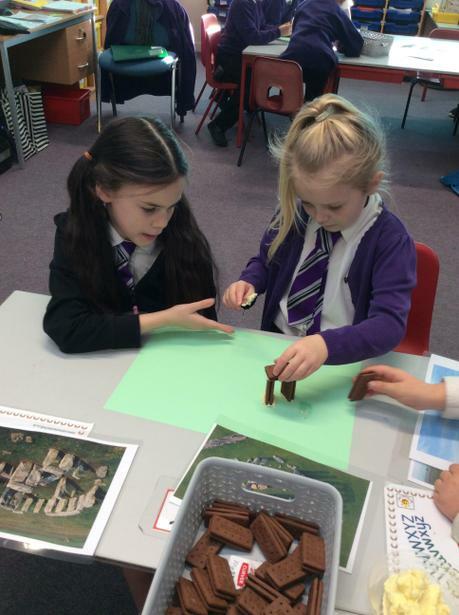 First we learn and practise a new method using manipulatives and then we apply our learning in problem solving situations.